I was recently given the opportunity to see a sneak peak screening of Moms' Night Out, a comedy about life coming to theaters May 9th. I took my mom with me and it was so exciting! We had to sign in and got little swag bags. Very cool. But the best part was the movie! SO hilarious! And even more than that it was really easy to relate to. I felt very connected to the main character Allyson who is trying to find her voice while juggling home life and a need for a night out! I highly recommend this movie for the whole family. 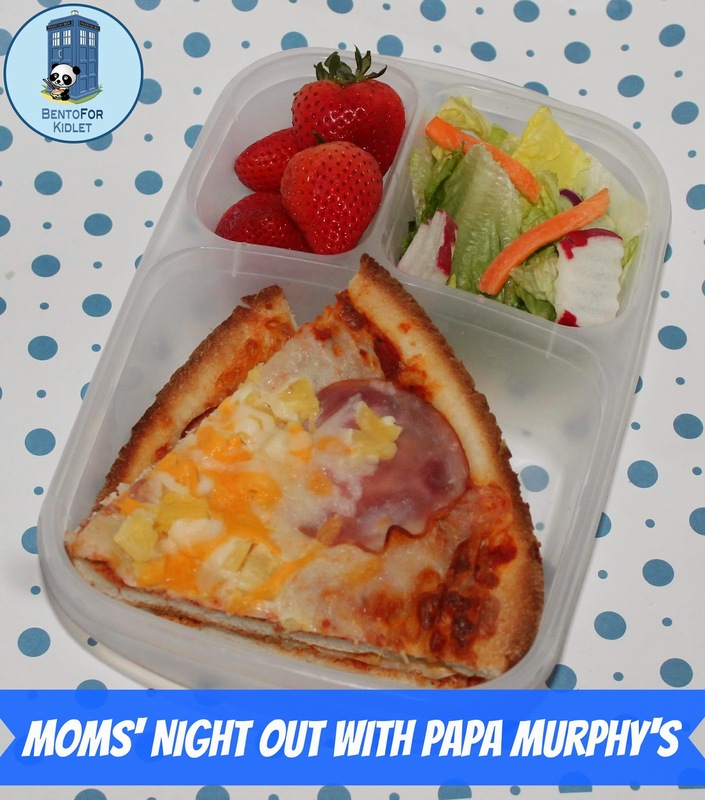 For more info you can go to MomsNightOutMovie.com. And don't forget that National Moms' Night Out is celebrated on May 8th. As part of the night out, while we were having a lovely time at the movies, the boy got to enjoy a delicious Papa Murphy's Take n' Bake Pizza. We had never actually tried Papa Murphy's before and I was a little skeptical of a take and bake pizza but we were pleasantly surprised at how delicious it was! I even packed it for Kidlet's lunch the next day! Great leftovers lunch! Papa Murphy;s is my fave for storebought pizza, I prefer it to any of the delivery kinds! We recently tried their Pan Pizza for the first time and boy was that good! Glad you got to enjoy a night out! Yay for a quick and easy leftover lunch!